Group 1 winning jockey Craig Newitt will front Racing Victoria stewards in coming weeks as part of a wide-ranging investigation into betting activity. Racing Victoria is conducting the investigation in conjunction with Tasmanian Racing Officials however details as to the exact nature of the enquiry remain unclear. Stewards confirmed the investigation was underway but did not provide any details. "Racing Victoria Stewards and the Tasmanian Office of Racing Integrity have been conducting a joint betting investigation over recent months. That investigation is ongoing and thus we won’t be commenting on the subject of our inquiries at this time." Newitt, who has ridden in Tasmania since 2017, confirmed to RSN on Tuesday that stewards had asked him to appear before them. "There’s not much I can say. I’m not too worried about it," Newitt told RSN. 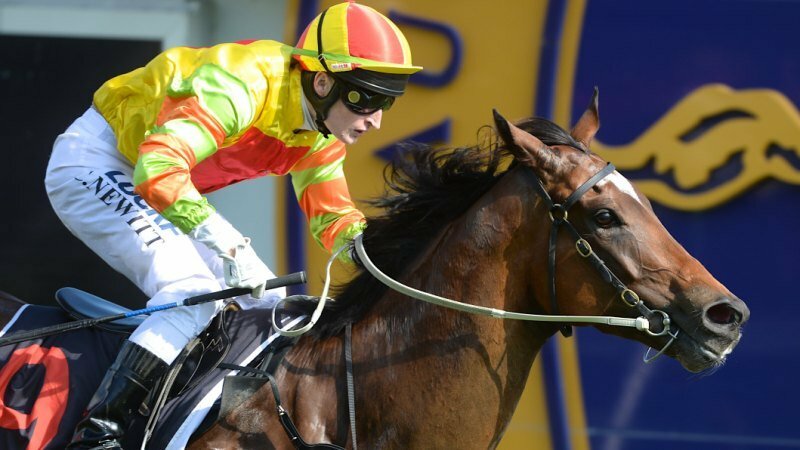 Newitt rode star sprinters Lankan Rupee and Miss Andretti when in Victoria and rode the Hobart Cup winner Eastenders on Sunday. It is not uncommon for licensed persons, including jockeys, to be questioned by stewards as part of investigations. Wodonga Trainer Craig Widdison is also the subject of a stewards investigation after a prohibited substance was detected in a blood sample collected from Widdison's five-year-old gelding Cash Crisis. The pre-race blood sample was taken before Cash Crisis finished sixth in a race at Sandown on February 6. The blood sample was shown to contain a total carbon dioxide (TCO2) at concentration in excess of 36.0 millimoles per litre in plasma and therefore a prohibited substance in accordance with the Australian Rules of Racing. Racing has dominated headlines in recent weeks after a raid on leading trainer Darren Weir's properties in Ballarat and Warrnambool that led to the trainer being disqualified from racing for four years. Racing Victoria chair Brian Kruger said the industry will undertake a broad review of integrity matters investigating best practice in a number of sports and racing jurisdictions. The review will include examination of whether the size of stables and the number of trainers in Victoria (there are about 800 licensed trainers in Victoria) impacts upon integrity in racing.